At Town Center Dental of LaGrange, we are exceptionally equipped to rebuild your smile. Whether you suffered a mouth-related injury or your teeth were slowly damaged over time, we are the experts you can trust to restore your smile to its best appearance and condition. 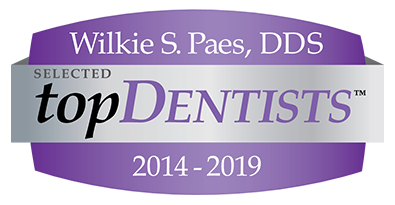 Dr. Paes is an esteemed restorative dentist with special training in dentures and full service dental implants. Whether you need to replace a single missing tooth or need a full mouth reconstruction, we have affordable and effective solutions just for you. Our office has also invested in cutting-edge 3D imaging to ensure patients get the most successful results from their restorative dentistry investment. We help patients realize the dramatic benefits in restorative dentistry. Missing teeth jeopardize your facial appearance, your ability to eat and speak as well as your overall health. Dr. Paes understands that choosing prosthetic teeth is a major decision. He will carefully explain each treatment option and make sure you feel comfortable at every step of the process. Whether you choose traditional dentures or zygomatic dental implants, you can expect a smile that looks, feels and functions naturally. To boost your convenience, Town Center Dental of LaGrange also offers bone grafting, sinus lifts and same day dental implants here in our Lagrangeville office. Reconstructing your smile shouldn’t deplete your savings. Our office proudly offers affordable options just for you, including CareCredit monthly financing and a Dental Savers Plan. Contact Town Center Dental of LaGrange today to schedule your consultation with Lagrangeville, Poughkeepsie, and the surrounding areas most skilled restorative dentist.